So, we have another week of you trying to make some extra cash? Since you wanted a few more tips we have decided to make an abridged version. How to make $100 in one day. Simple things you can do to make Benjamin Franklin your best buddy. While the tips from last week can help you, most of them take a little preparation to complete. But, we know not everyone is Batman, you need money and you need it fast. So instead of trying figure out a drawn-out plan of action. Instead, we are going to give you a shotgun blast of ideas that could potentially make $100 in one day. Use stuff you already have in your possession. We are going to be using some of the same themes from last week’s article. However, we will be different tips and tricks you can use. For example, the first way you could make a quick buck is by renting out your car. We all have a friend who needs a ride, so why not let them use your car? Instead of having them pay for gas you can just charge $100 for a specific day or block of time. If you don’t feel comfortable renting your car for a few hours you could rent your home. This may sound incredibly weird and dangerous but if you treat you home like a hotel you can make a profit. Most of the time people that really need a place to stay will pay for a room. If you want to make sure the person you end up bunking with for the night is not a serial killer, you can post an ad on your Facebook. If you have a friend that is flying into your city you could charge them for the night. Make sure you have clean linens though, no one likes soiled sheets. If you do not feel comfortable renting a room for the night you could always rent is for a project. Many student cinematographers need places to shoot, and they easy to find online. Find out who owes you money. In the last article, we briefly talked about closing accounts of people that owe you money. But we did not touch on the retailers that may owe you rebates for the items you bought. Most of us have no clue that we may be owed a small amount of money from some stores that we frequent. Luckily there are resources like, Paribus, that will notify you if you are owed any money. Most of the time it is a few dollars since it is based on your shopping. If you shop frequently, there is a greater chance you will have money coming back to you. Paribus is a free app that connects to all your online merchants and calculates all your purchases for you then sends coupons or cash back. Writer’s Note: Usually it takes a day or two to receive your money. Yes, we said there would be little to no prep time but this is the only one. Promise. Paribus works fine, but there is an easier way to get money back from a retailer. No, do not rob them, we did not say that. You can, however, take back some of your recently purchased items. Trim the fat of everything you need. Take it all the way down to essentials. That new graphic novel may be a great read, but you can probably find in your local library. Take back that $210 pair of shoes from the prior week. Sorry to say, but you will never dunk from the foul line. Take a look around your house and you can probably find some new items you really do not need, right now. Look for things that you can pawn. Do not worry you will get your stuff back. Hollywood has given us the false narrative of pawn shop owners being shady and keeping your property and your money. This is furthest from the truth. Often you have to fill out paperwork that protects you and your item. Most of the time you are allowed two to four months to repay your loan. Worst case scenario, you will only be given a month to repay your loan. This is completely dependent on the store, though. Since we are on the topic of loans, you could get a quick loan. Most of the time banks will not grant a loan this small. 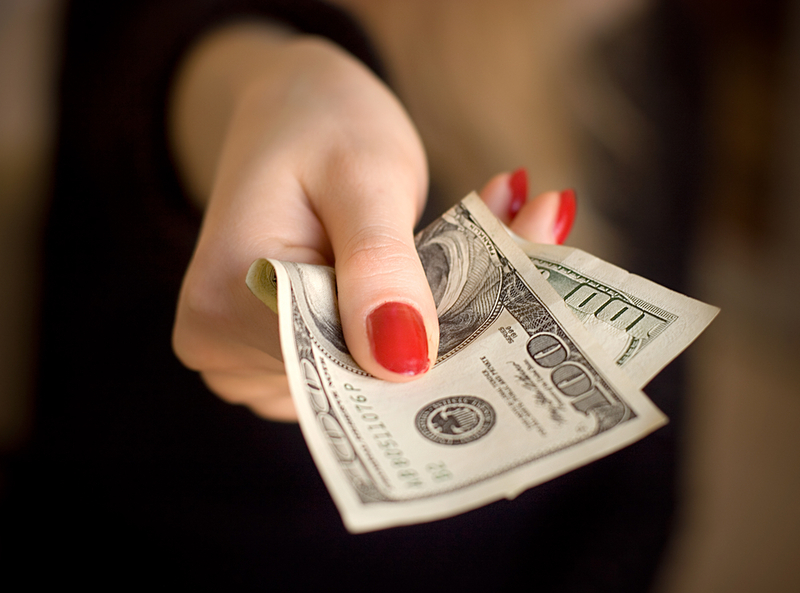 If you are lucky you could possibly get a loan from a hard money lender. Be careful though, usually, these loans usually have high interest rates. Take advantage of other people’s laziness. This may sound a little harsh, however, if you do it right you could make a few bucks. When was the last time you had a list of things you did not want to do? Double points if your significant other asked you to do something. 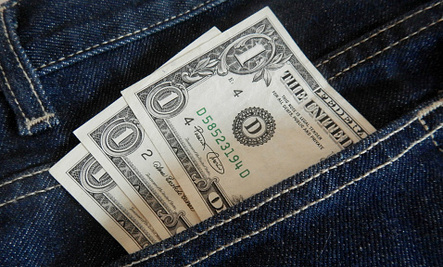 Did you know there is a site that can pay you for doing other people’s errands? Taskrabbit is a platform that you can use to have someone else do those chores or tasks you hate. Instead of you pulling your back trying move furniture around the house you can pay someone else to do it. This also means if you want to make $100 in one day mowing lawns you can. Most of the time the projects you have to complete are not that strenuous and will not require a lot of work. It can be something small like mounting a television or staining a deck. Unlike a lot of the other ideas in this article, this point involves cutting back on your expenses. If you do need to raise an additinal $100 per day, its going to be a lot easier if you have reduced expense. So, for example if you have $200 worth of expenses and income of $280, if you can reduce your expenses to $180, then you’ll have $100 in income. Tried and true ways to do this are using coupons and comparison shopping. I like yourbestdeals.com for this. With enough research, you are able to find many ways to make $100 in one day. Look in between your couch for enough change to get you started. Get creative and do not give up. If all else fails, ask your parents, they love you and will be willing to part with at least one Franklin. Although you will hear about it for a while.